Project Manager Resumes. Do you have your PMP? If not, seriously consider getting this in-demand certification. Your competitors have it and they will have an edge. Whether you are formally trained in project management or not, you'll want to handle your resume very carefully in terms of keywords, core competencies, and proof of performance. Because many people have their PMP, you will need something more to make the cut. In order to get contacted for an interview, you will need a superior branded executive resume that sets forth your personal brand (value proposition, key attributes, competitive advantages) and proves to the employer or recruiter that YOU are the project manager they should interview. Forget to put PMP next to your name at the top of the resume if you've earned it, as well as MBA if appropriate. Waste space with the old-fashioned "Objective" at the top of Page 1. Instead, give yourself the title that represents you, i.e., Project Manager. If you don't hold that title but are aspiring to it, write: Targeting...Project Manager. Go directly into your work history. Instead, devote a brief paragraph to communicating your personal brand and positioning yourself: what your profession and expertise are, what value you bring to the table, what makes you different from your competitors (unique, special), your key attributes, and, if you wish, your core commitments - all in the light of your target position. Forget to use the most important keywords appropriate to your target position early on in your resume. For IT project managers, these will often include lean-agile workflow and scrum etc. You may use a short list to go over, under, or beside your paragraph. List only the top keywords here. The rest can go at the end of your resume under a heading such as Other Relevant Keywords. 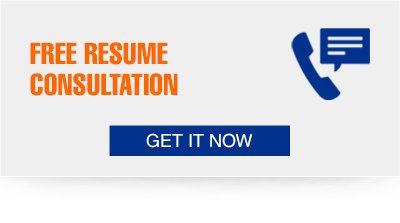 Create a one-size-fits-all resume to be sent to wholly different positions. Instead, tailor the title, your top summary paragraph, and the body of the resume as needed for each different position you are applying to. List only the job description under company and title. Instead, in a very brief paragraph - 5 lines max - communicate the scope of your work: largest budget administered; the value of the biggest project you led; number of team members you supervised, etc. Forget to list your accomplishments - including Context, Challenge, Actions, Results (quantify if possible!). These success stories are the real meat of your resume. Make bulleted lists longer than 5 or 6 bullets. If you need to, break your accomplishments up into categories with 5 bullets under each, i.e., Team Building, Project Management, Process Redesign, etc. Fail to draw out the business-side impact of your technical results. This is critical. Employers want technical employees to have business acumen. Get lost in the detail of your technical projects. Instead, be sure to sketch out the bigger-picture problem you were able to solve and why it was important. Don't make your resume so full of technical terminology that a business-side manager or networking contact couldn't understand the jist of it. For an executive resume checklist, click on the link. You can test your executive resume against 15 criteria to see if you are ready to take it on the road! Good luck! Contact us at info@AResumeforToday.com with any questions.